"Catch GT.TV on SPIKE this Thursday night for your chance to win our Mega Man, Roll & Proto Man model kits!" GTTV airs tonight on Spike TV at 1AM PST. It remains to be seen just what exactly is required of the audience to win, so we're pretty much being asked to tune in and check it out. 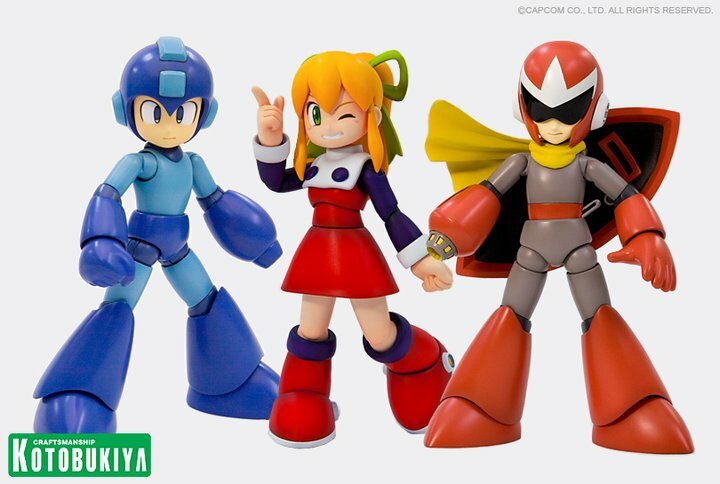 Also, since this is being sponsored by KotoUS, it's safe to assume their giving away the English version kits, which feature Mega Man branding. Might be wise to keep an eye out on KotoUS's FaceBook for more details. "You should get far more than that for having to watch GTTV....."
Haha, yeah. Considering that's 3 am for the rest of us over here. Answer a question based on the episode... Which was to name 3 of the 4 people that did a "face smash" thing with the 3DS.